Start by going to the official download page: never download security software from a site other than the maker of the product itself! Scroll down until you see the download button. The site tries to upsell you, but you don't need to buy anything right now: the 14-day trial has exactly the same functionality as the full, paid version. 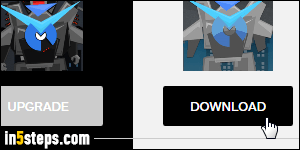 Now click on the Download button (not "Upgrade"). 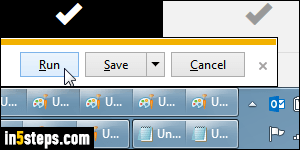 Depending on the web browser you are using, you may be forced to download the installer file first; if so, do it and double-click on the file once it has finished downloading. Otherwise, just click "Run" to open the installer right away. Unlike "standard" software, Malwarebytes must be installed with full privileges, to be an effective protection against viruses and malware. You'll need to supply the administrator's password, in other words (as long as you kept the default UAC settings - and you should!) 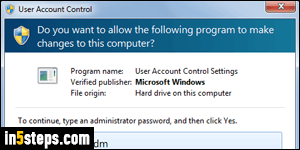 Another security tip: you should always run as a standard user on Windows and any other operating system. If that's not the case, here's how easily you can change your account type to a standard user. The rest of the process is easy: once you picked your language, click OK and then Next. (Read and) accept the agreement, and keep clicking Next until you reach the Select destination folder screen: although you could change it, I recommend that you keep the default. Keep clicking Next and then Install. Leave both checkboxes checked at the end: the free trial means that you'll get the full protection of the premium version for free (but for a limited time). 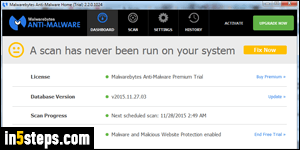 Bonus Tip: as soon as Malwarebytes anti-malware launches for the first time, it will may perform a quick system scan of your PC. Click on the Fix Me button to run a full system scan. And, since Malwarebytes uses its notification area icon to communicate with you, make sure that the icon is always visible in the tray!